Carey Lohrenz, the Navy's first female Tomcat F-14 fighter pilot, shares the fundamentals that helped her win in the cockpit at Mach 2, and can help your team win in business. This keynote will challenge, inform, and inspire your team to move to higher levels of performance in difficult economic times and environments. In this inspiring and engaging keynote, Carey Lohrenz shares what it is takes to be on the 'Leading Edge.' Those things that helped her succeed as an F-14 fighter pilot in one of the most extreme environments on earth can help elevate your team, gain advantage and uncover opportunities. Just as pilots do a "systems check" before takeoff, Carey Lohrenz will walk you through a Pre-Flight Check on your journey towards success. 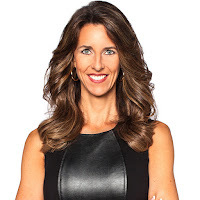 Lohrenz's presentations are inspiring and energizing, providing tools to help you regain control in shaky business environments. In this energizing and empowering keynote, performance accelerant Carey Lohrenz shares the fundamentals that helped her win in the cockpit at Mach 2, and can help your team win in business -- by learning the importance of remaining relevant. 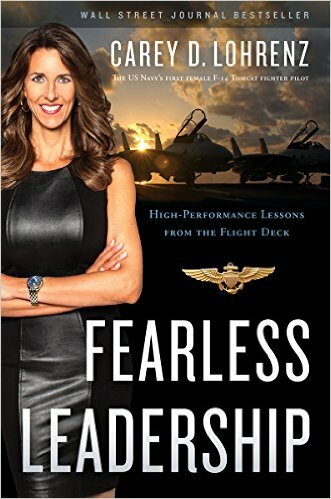 Carey Lohrenz is the author of Fearless Leadership: High-Performance Lessons from the Flight Deck. She resides in Chanhassen, MN and is currently working on her Masters in Business Administration in Strategic Leadership.